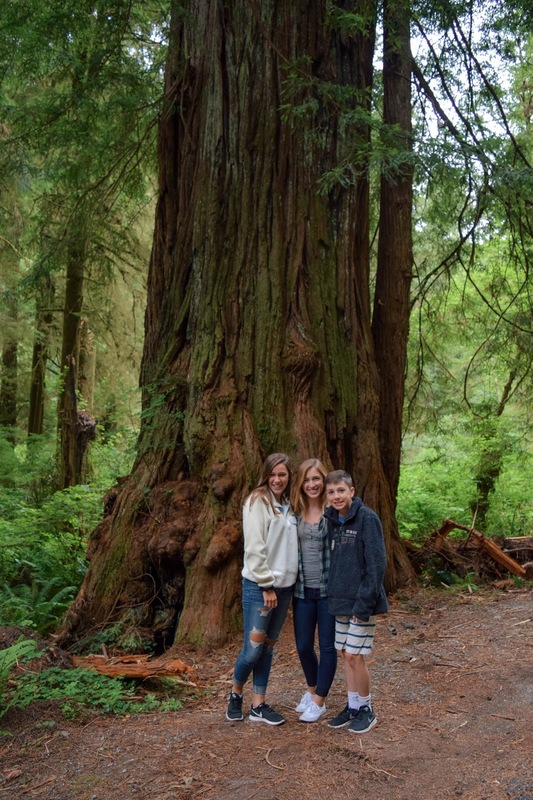 After spending a couple days in the Pacific Northwest, my family and I started our drive down California, and our first stop was Redwood National Park. On our drive there my siblings often asked what was so special about it, but their questions quickly ceased once they saw the unbelievably massive trees that made up this wooded area. Despite it being July, I decided to layer up for our drive through the forest. 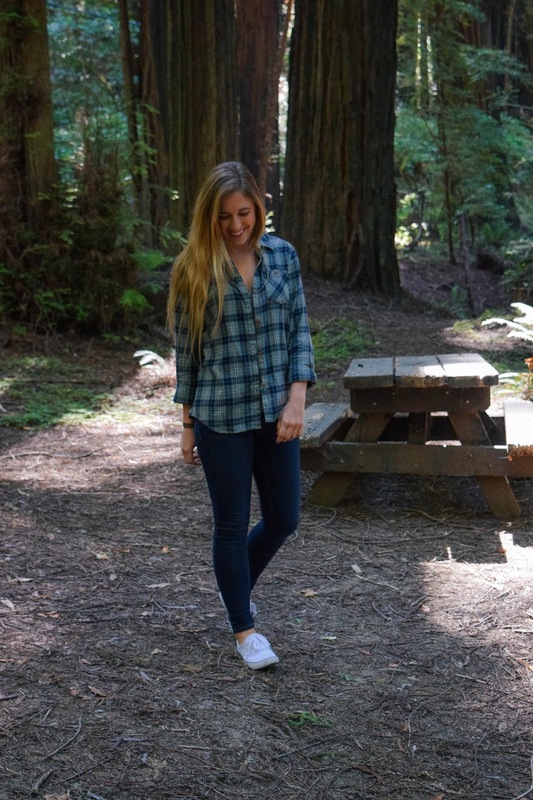 I wore my comfiest jeans (uncomfortable jeans + 8 hour drives are no fun!) 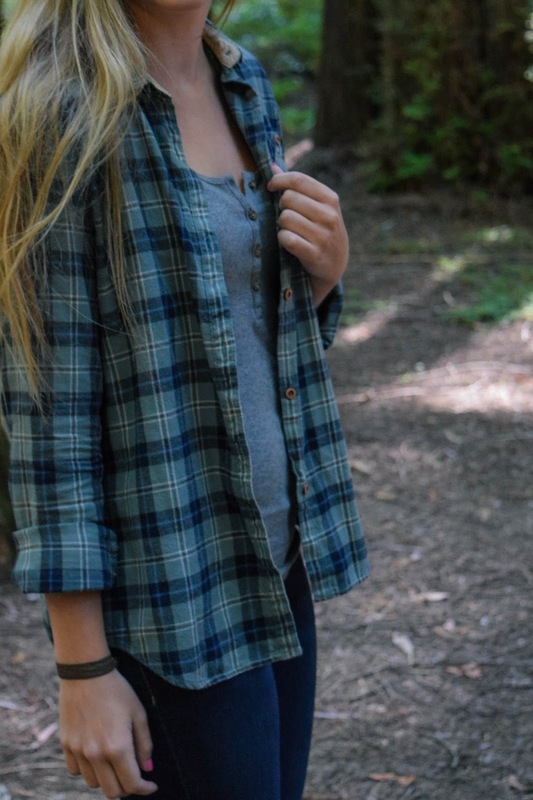 with a flannel layered over this henley tank from Old Navy. 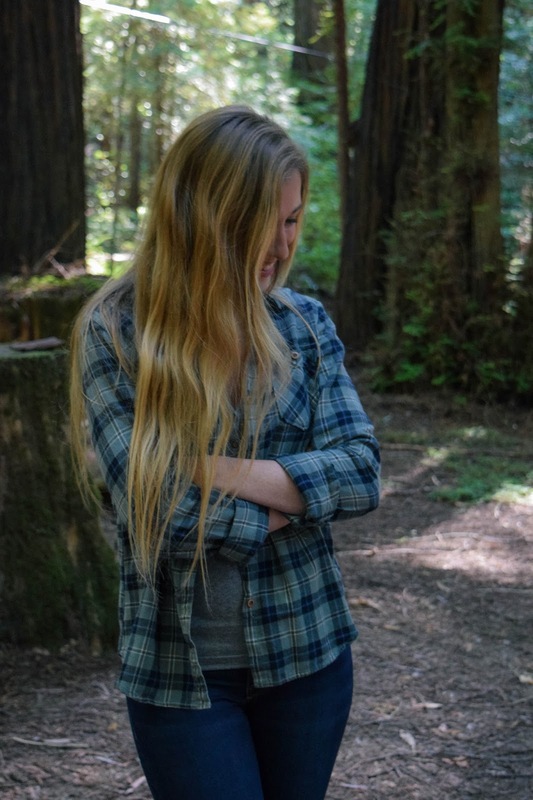 It ended up being the perfect outfit because the temperature dropped at least 10 degrees once we entered the forest, and it prevented me from getting bit by bugs as evening started to fall. 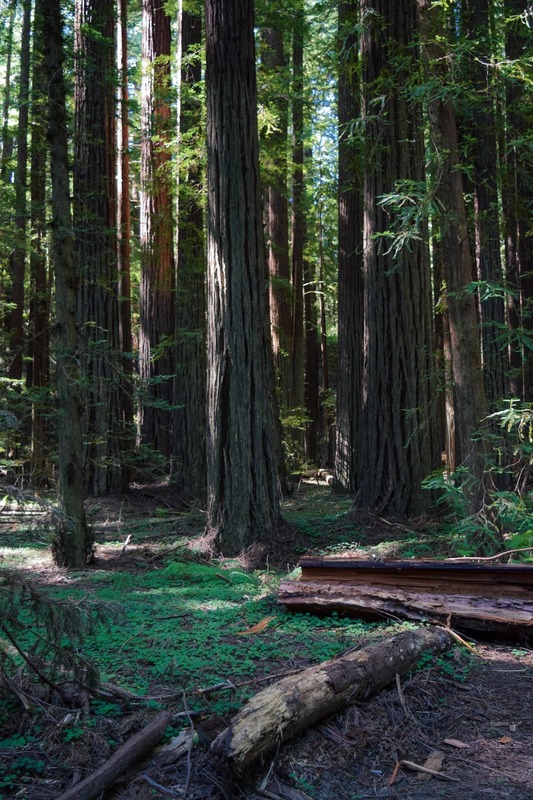 We were driving south on Highway 101, where we were able to catch many glimpses of the forest from, but my favorite part of the drive was when we took a scenic route in Prairie Creek Redwoods State Park. 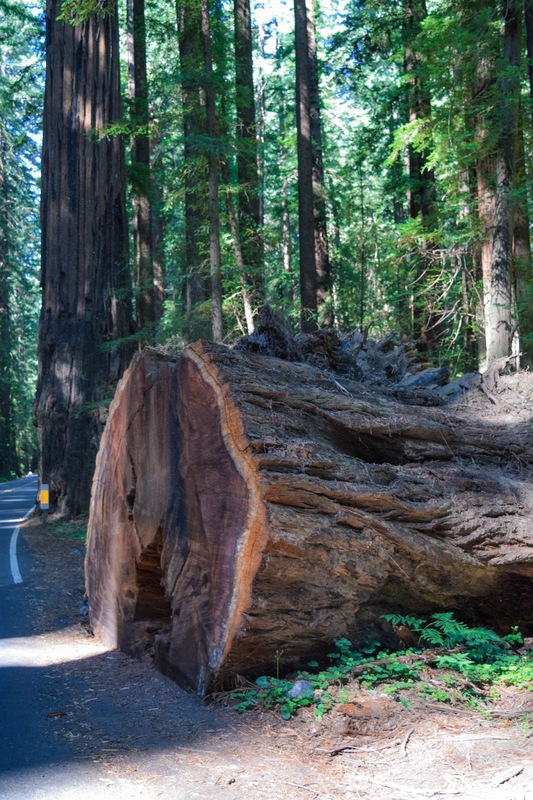 Approximately 30 miles south of Crescent City we took Exit 675 onto Newton B. Drury Scenic Parkway, and it was here that we saw some of the most massive trees including the hollowed out tree in the first picture and the fallen tree below. Now I wish I could describe the feeling that washed over me after I got out of the car; the forest had an almost eery aura that I've never experienced before. The darkness the canopy above created combined with the stillness of nature and the sheer size of the trees made for an experience that was both spooky and breathtaking as the sun began to set. After our scenic detour, we stopped in Eureka right before dark. We stayed in the Red Lion Hotel, which was very nice and clean and had one of the biggest rooms we stayed in our entire trip, but take my advice and stay on the other side of town. Unknowingly, the side of town we stayed on was rather rundown and, to be honest, nothing short of sketchy, but less than 10 minutes down the road was a newer and more populated area that I would've felt much better staying in. 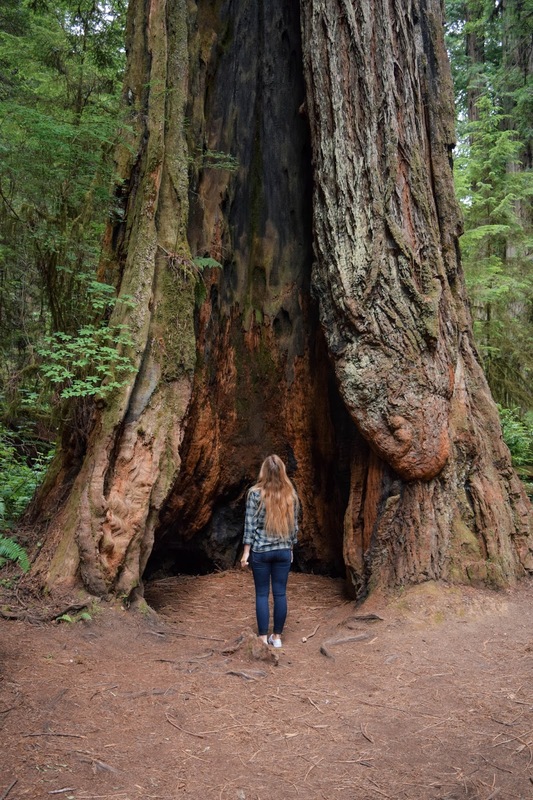 After our night in Eureka, we continued our drive south down Highway 101 for approximately 45 miles until we hit the turnoff for the famous Avenue of The Giants. 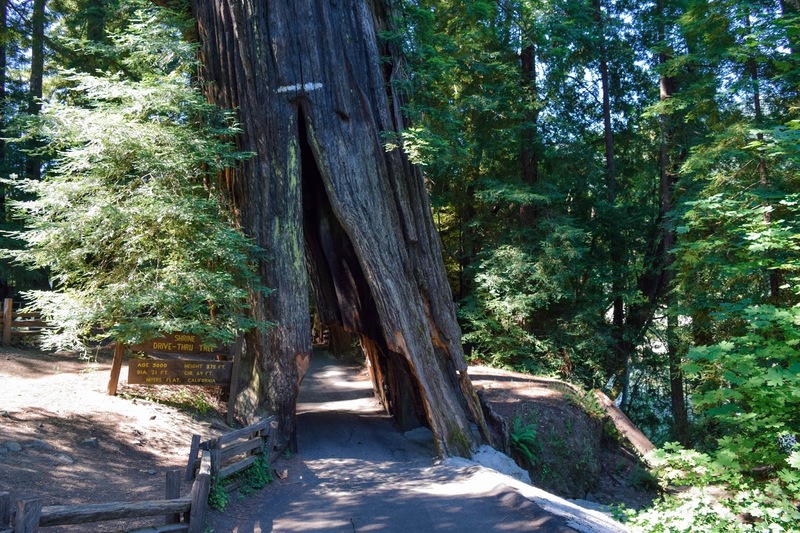 This scenic drive was a 30-mile road that ran parallel to Highway 101 but allowed us to travel in the midst of the enormous redwood trees again. We even took a moment to explore one of the camping sites along this road. Also, towards the end of this scenic drive we saw signs for one of the few remaining drive-thru trees. While my mom wasn't about to try squeezing her SUV through it, we all got out of the car and went and stood underneath it. I can honestly say I've never felt smaller than I did when standing underneath the drive-thru tree and the tree in the first picture. 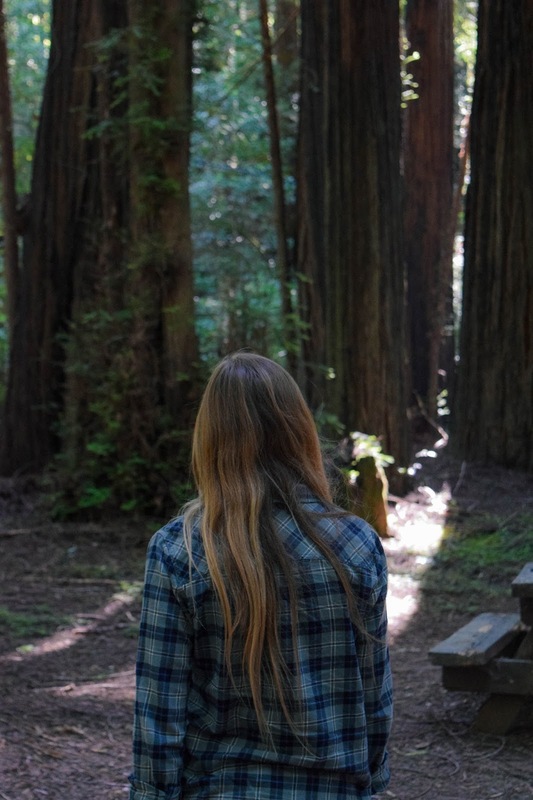 The Redwood Forest is a national park I had always hoped of going to when I was younger, so being able to go this summer was a dream come true. As hard as we try to protect these natural wonders, we never really know how much longer they will be around, but I'm sure that the enrapturing feeling I experienced here will stay fresh in my memory forever! 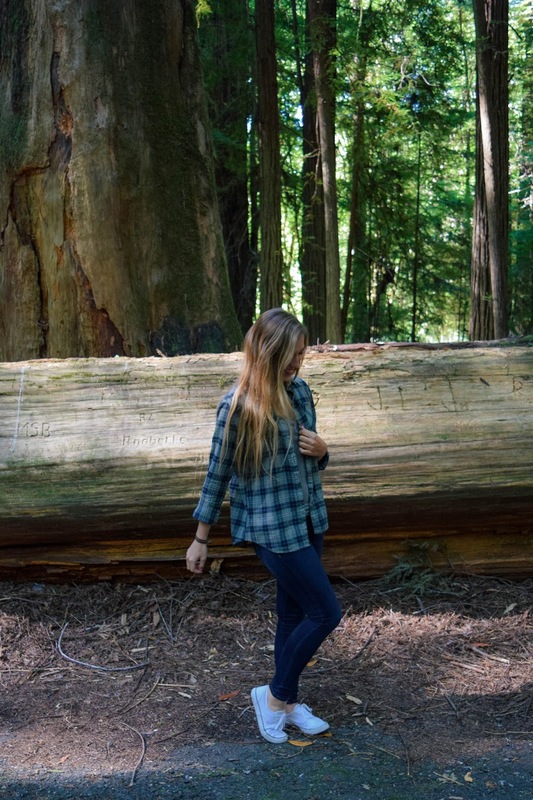 Have any of y'all been to the Redwood Forest before? Did you think it was worth the trip to northern California? I'd love to know because my trip with my family is one I'll definitely treasure for a long time! 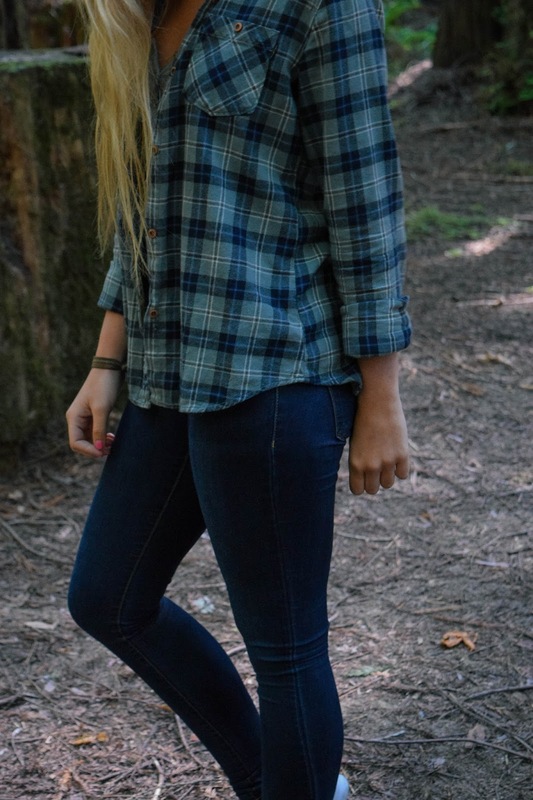 Awesome flannel look! Goes really will with the forest vibe, and those are some huge trees! Haha thank you! 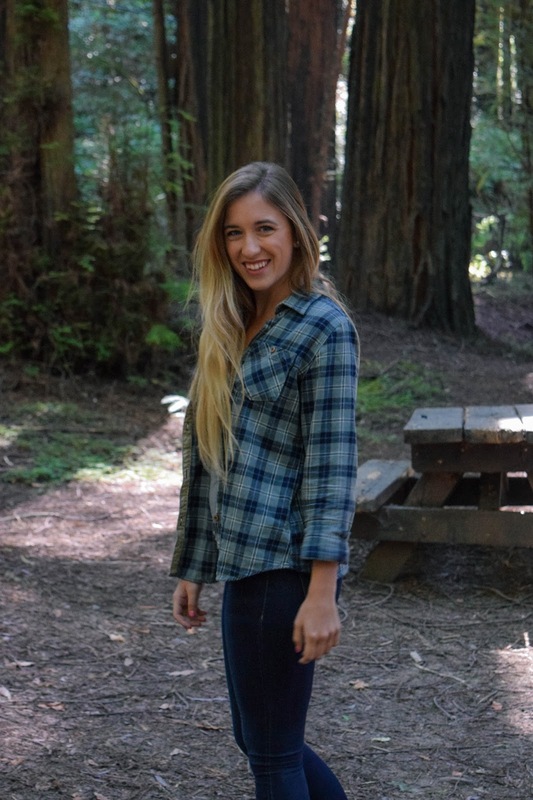 When I was picking out outfits for my trip I just knew I had to bring out the flannel for the Redwood Forest! 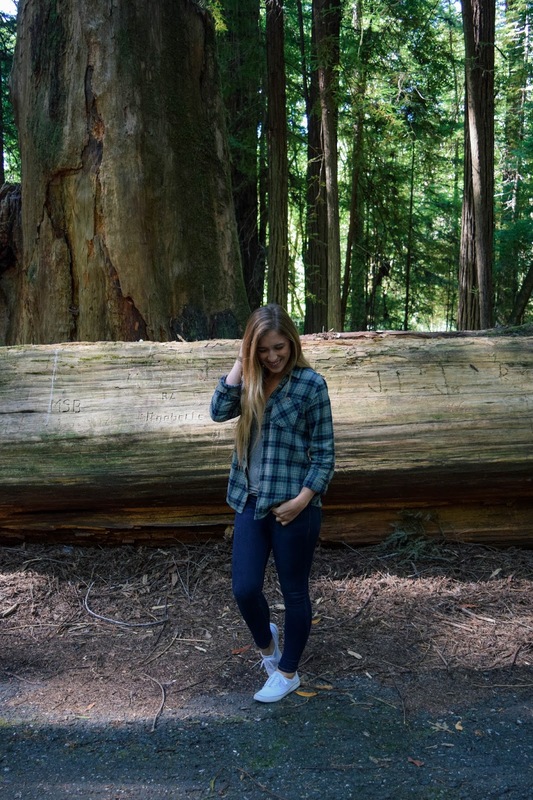 Being in the woods always reminds me of my childhood so I definitely love it too! 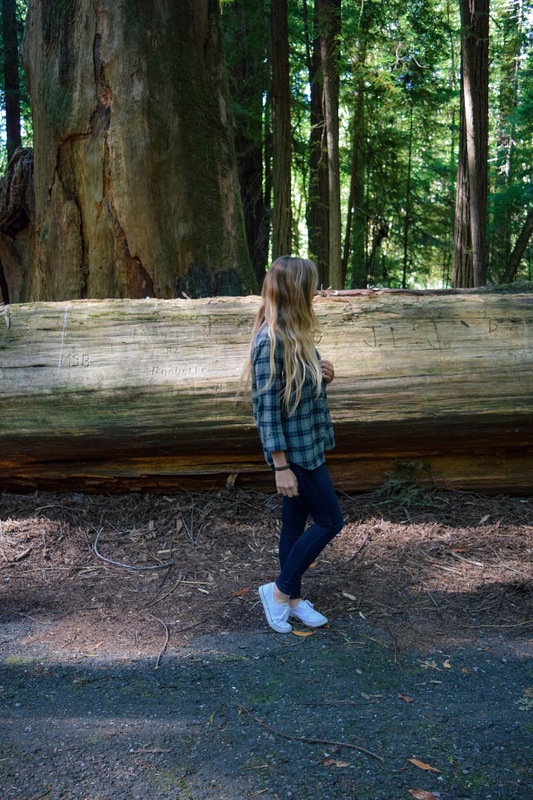 I love Nature, parks and big trees. 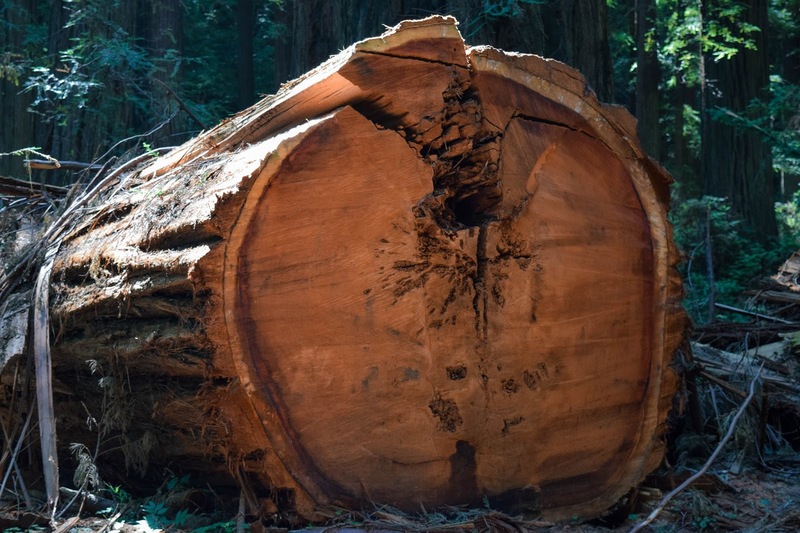 And this Redwood Parque is stunning! I probably will never get a chance to meet this park because I'm on this side of the Atlantic Ocean! Never say never! But yes, this was one of the most stunning national parks I've ever been to!